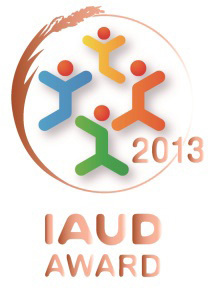 IAUD Awards 2013 had 38 entries from all over the world. 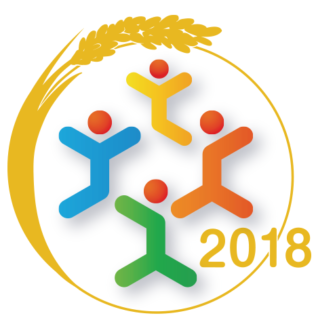 The Awards 2013 Selection Committee judged the entries rigorously and impartially and they selected Grand Award,6 Gold Awards,7 Silver Awards and 14 IAUD Awards of each category. 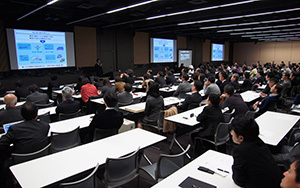 The IAUD Awards 2013 ceremony was held at the site of the “IAUD 10th Anniversary memorial event” on November 21st, 2013 at the FUJI ZEROX R&D SQUARE in Yokohama City. Honda Motor Co.,Ltd./Honda R&D Co.,Ltd. Within the limited space of a light passenger vehicle, we have moved the space for the fuel tank forward and increased the depth of the luggage space. Not only has the loading capacity been increased, the ability to carry large equipment such as heavy items, bicycles and wheelchairs has been improved, and a winch and aluminum ramp have been included, realizing universal design catering to a wide range of usage requests from a variety of users. PUBLIC SPACE Supported By the Ministry of Land, Infrastructure, Transport and Tourism. Universal Design in Ota City’s Main Municipal Office Building through a Positive Spiral of Continuous Improvement. Ota City, Uchida Systems Co.,LTD. & Kuwahata Design Office Co.,Ltd. In 2009, we set about comprehensively renovating the signs used in Ota City’s main municipal office building, and are promoting a positive spiral of continuous improvement in collaboration with people with disabilities. We developed our own universal design through repeated exchanges of opinions and verifications. Today, the building is accessible to all visitors. Our know-how is also used in the city’s other facilities. 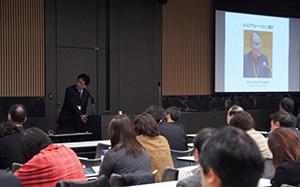 Mitsubishi Electric and Panasonic, based on their respective ideas about universal design, are currently developing products that provide voice guidance. 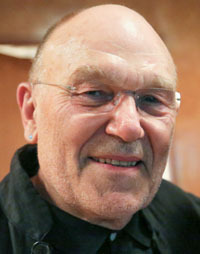 As part of this effort, in order to enable more visually impaired people to use TVs with voice guidance, which can be a source of information for them, the two companies are jointly holding events where people can actually experience the products; have launched a specialized support website that introduces the products and explains how to operate them; and are otherwise conducting activities aimed at product dissemination. Train Vision is an onboard system for displaying travel information on a liquid-crystal display (LCD) in a train, including information about the train (train type and destination), the station the train will stop next (station name, transfers, station facilities, and train doors that will open at the station), the route map, and real-time traffic information. Classes on universal design given by visiting Sekisui House researchers (“Doctor UDs”) to primary school students. An application using written communication on an iPad or iPhone as a tool for conversation between people with impaired and normal hearing. With UD concepts adopted in the handwriting interface able to be easily used by anyone, along with voice recognition text input functionality, it is an item to increase the scope of communication for the hearing impaired by reducing the writing effort involved and information omission. The Wells Bath – a bath unit with lengthways-positioned bathtub developed by Wells. Wells offers nursing care facilities a new, improved approach to assisted bathing. Wells assisted-bathing bathtubs with adjustable bathing-position functions, developed based on the expertise of professional caregivers and the results of ergonomics experiments, have made it possible to create environments optimized to users’ physical characteristics and caregivers’ actions, maximizing the bathing comfort of elderly users and minimizing the burden on caregivers. When paying at the cash register in a supermarket, the interaction is between the customer, the purchased goods and the checkout employee via the checkout counter, but that interaction is part of a complicated arrangement involving store location and scale, company policy and systems, and targeting the wide diversity of people involved. This is a series of research and proposals involving Okamura constantly seeking the way for solution strategies from a UD viewpoint. We developed UD guidelines for securing safety of children by considering children’s characteristics and promoting children’s independence and development. Defining children’s characteristics as “small,” “weak,” and “unlearned,” the 11-point guidelines offer ideas for preventing major accidents and promoting children’s own development through learning from minor mistakes in the home. We also developed special tools to help users select the UD items they need. We created a device for parents and children to learn and experience UD in the housing exhibition space to help users understand UD while designing their new homes and actually implement it. An exposition based on specific circumstances and explained with detailed illustrations on the kinds of scenarios children with slight color blindness have trouble with in their school lives and what teachers and others around them can do to take this into account and make adjustments. Voice guidance technology is a convenient technology that, when a menu is displayed and a channel is selected, announces the channel and the title of the program.When it was first developed, it could be used only in Japan, but it was adapted for use in Great Britain in 2012 and for 26 languages in 2013. We are promoting it globally: in Europe, Asia, North and South America, and elsewhere.In numerous countries, it can support the TV viewing of not only healthy people but also seniors whose eyesight has deteriorated and visually impaired people. Color Universal Design Organization ,Dai Nippon Printing Co. and Ltd. And DNP Media Create Co., Ltd.
Research and development in the key project for the spread in society of Color Universal Design (hereinafter "CUD"), which provides easier visibility for more people irrespective of individual differences in sense of color. A certification system for places of business creating management systems based on the standardization of CUD processes. We tend to take our cognitive and physical abilities for granted until a catastrophic accident or injury re-defines our existence. After medical science provides survival, “PM+R” returns quality to our lives.This unique Universal Design care approach utilizes a real-life environment for patients and families to regain independent living skills. This lantern can store, in a rechargeable battery, energy generated during the day with a solar cell, and can then be used as a night light or as a power source for charging cell phones and other small devices.In many unelectrified regions of the world, kerosene lamps are used for lighting. However, their brightness is not adequate, the smoke from them is a health hazard, and they pose a fire danger. Based on a desire to provide light and a power source that are clean, safe and stable, we developed the Solar Lantern with Charger Function. 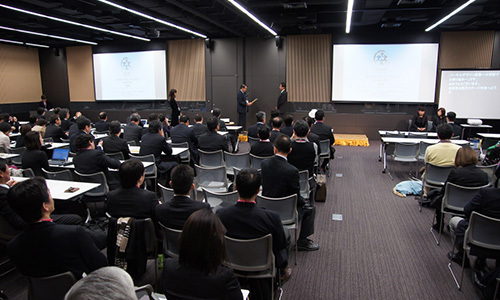 The IAUD Awards 2013 ceremony was held on at the site of the “IAUD 10th Anniversary memorial event” on November 21st at the FUJI ZEROX R&D SQUARE in Yokohama City and there were 260 participants. IAUD Awards 2013 had 38 entries from 5 countries and the Selection Committee selected Grand Award, 6 Gold Awards, 7 Silver Awards and 14 IAUD Awards of each category. 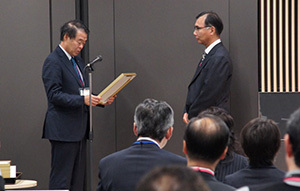 Mr.Kazuo Okamoto the Chairman of the Board of Directors extended the certificates to the winners. 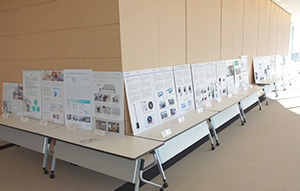 The winners of Grand Award and Gold Awards presented their projects. Mr.Keiji Kawahara the member of the Selection Committee read the message and comment from Prof.Roger Coleman, the chairman of the Selection Committee and Professor Emeritus of the Royal College of Art. 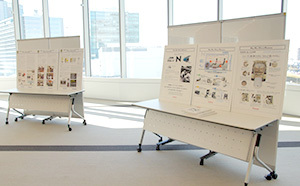 A panel display of each winner's project was exhibited at the hall of IAUD 10th Anniversary memorial event.